Cyclo Cross in NYC often means early mornings, long drives, and travel weekends. So when the NJCX Lucky Charm race was announced, revisiting an old race venue at Craigmeur Park in rural New Jersey less than an hour from Manhattan, we couldn’t miss the opportunity to screw in our spikes and line up. After some last minute discussion about which race to do involving a delicate balance of USAC upgrade points, the meta-Cross Results Points which determine race start call-ups throughout the season, and the omnipresent desire to get a podium-pic, everyone settled on the Men’s 3 race. Lucky Charm CX 2018 was in memory of a fellow racer, Mike 'Lucky" Lukowack, who passed from a heart attack during a ‘cross race last year. 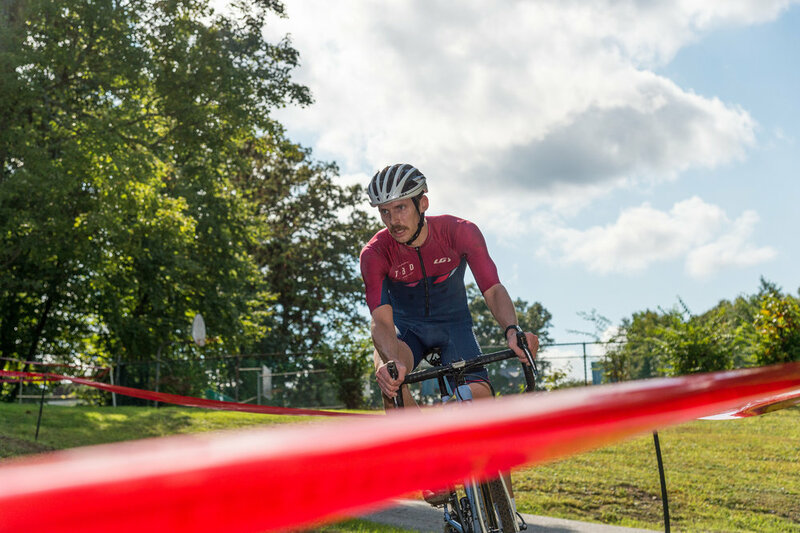 His team, Hill Top Bicycles, put the race on in his name, and passed the hat to fund raise for the American Heart Association in his honor. This was a theme throughout the day as the community and spectators came out in good spirits to celebrate and raise money for a great cause. Travis chasing Mark/King-Kog into the highline on the biggest off-camber section of the day. The course did not disappoint. After a week of rain the over 1-mile loop provided some serious off-camber sections, at least two run-ups, and great spectator/heckle vantages where the course doubled back. The promoters also secured an open container permit. 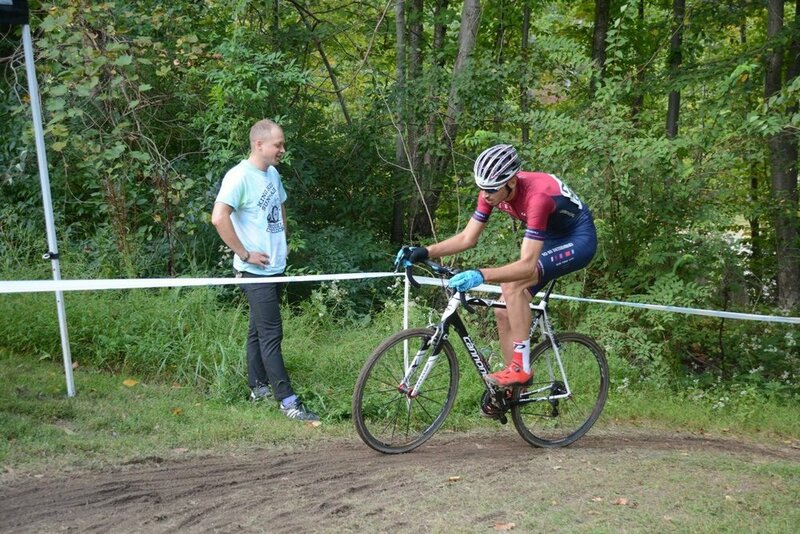 It definitely is neck-and-neck for favorite local cx course. Making the wide-angle / MTB podium is always a good day. Ben/Montclair-Bikes rode an amazing race, getting first call up at the start line and never yielding the lead all 42+/- minutes of the race. I was racing for second knowing that the first place prize, a growler from a local brewery, couldn’t go to a 16-year old, who while maybe could drive himself to the race, was under-drinking-age. To my chagrin, the prize was actually a growler-fill-up coupon which Ben rightfully retained for a gesture of thanks to his parents and pit-crew. Clark taking the low-line of THE off-camber. Cyclo Cross can be extremely frustrating; when it goes bad it goes really bad. Whether that’s due to a mechanical, a lack of fitness, or a strategic mistake, things can go off the rails very quickly. So we took all of Saturday’s podium in - the squad had a great ride, the course was extremely fun, and team and non-team friends were in attendance to cheers after.